Still the room was warm and the water hot and the WiFi worked most of the time so I couldn’t complain really. And it was a far cry from sleeping on the floor in the building of some Uzbek gas workers in the desert like last year. Thankfully, as well, my knee and arm remained limber and I appeared to have suffered no more than superficial damage from my crash. 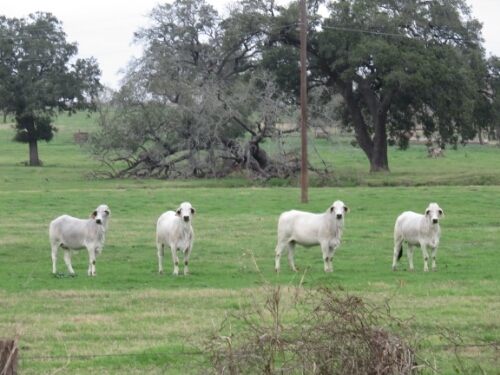 The next day I rode off once more across Texas and had a fairly standard day. The weather was dull and I passed through some nice small towns and that was about it. I did ride with a feeling of paranoia now and I’d start if I heard a rustling in case it was a dog about to come tearing out at me. I’d like to say I was worrying unnecessarily but I got chased quite a few more times. It certainly made the whole day less pleasant. Eventually I came to Columbus, a larger town with an historic centre. Including a 180 year old log cabin. Columbus was also on the mighty Colorado river which I crossed as I headed out of town looking for somewhere to camp. This took longer than expected and it was full dark by the time I ducked into the edge of a small wood that abutted the road and set my tent up. The night was strangely warm. So warm in fact I worried that I’d fallen sick. I hadn’t experienced humidity like this in months! The next morning all that changed, the temperature was still high when I started out but quickly dropped as it began to rain. To start with it was just light showers. Enough to make me a bit miserable. Then after a few hours the intensity increased and all of a sudden I was in a thunderstorm. 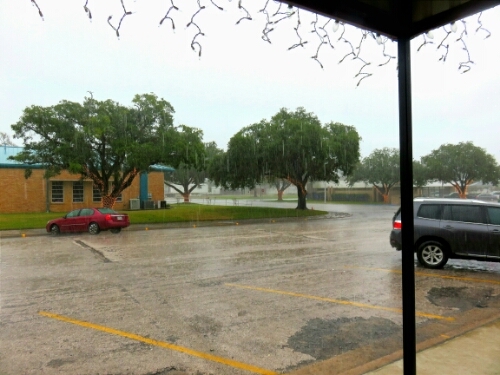 The rain was so hard it actually started to hurt a bit as it impacted. I wanted some shelter. Unfortunately I was pretty much in the middle of nowhere and there wasn’t really anything to hide under. So I had to keep on riding until the next town which luckily was only about half an hour. In the town, Hempstead, I rode up to the McDonald’s. Normally I never go inside McDonald’s and just stand outside using their WiFi. Today though I wanted to be in the dry so I went in and even bought something. I was pretty wet. Luckily my waterproofs are good so my torso and legs were dry but my hands and feet were sopping. After a while the thunderstorm blew over and I could continue through more drizzle. I remember thinking at least it isn’t windy so I can make time still. About half an hour later a gust came out of the north blowing me off the road. So it was like that was it! 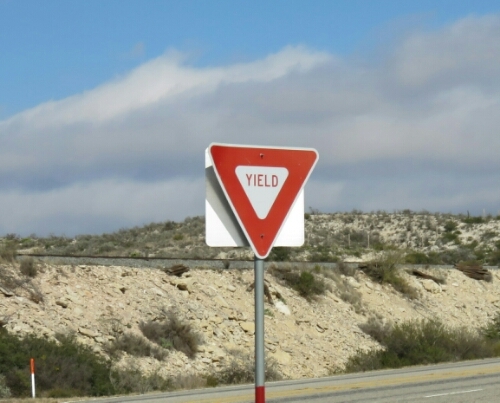 I was heading north east on roads that went east then north rather than on the diagonal. Every time the road turned north it was a trial but on the easterly sections the wind wasn’t too bad from the side. Then suddenly I was out of the rural area and into a more suburban section close to a place called The Woodlands. It was strange, all the businesses seemed to be spread out down the highway. If you wanted to buy anything you had to drive there. And lots of people were. The survival of pretty much all the shops was predicated on the availability of the automobile. I personally hate this idea. To me it’s town planning based on a very harmful set of ideas. The main idea being that the car is a good thing. It isn’t, currently driving everywhere hurts the environment with emissions and yourself as you get no exercise. Seeing an area like the Woodlands annoys me intensely! I could get yogurt at a supermarket there so it wasn’t all bad. I carried on riding into twilight trying to get out of the busier area to find somewhere to camp. The rain had eased so it was just a light drizzle that started in every so often and I was almost dry apart from my socks and shoes (it would be a few days before they were dry again). 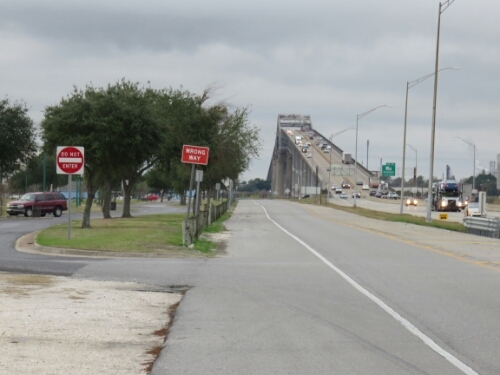 Happily the highway was raised over some uneven land after it had crossed the San Jacinto River. This gave me a nice covered spot to camp in, which while muddy was sheltered. 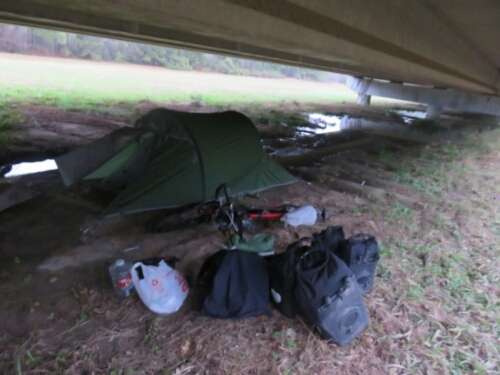 Camping under the highway meant that when I woke the next morning, in spite of it raining all night, I still had a dry tent. Sadly as the day went on dry was an adjective that I wished I could apply to myself. It was raining when I started riding. It was raining when I finished riding and it rained the whole time I was riding. Basically, you get the picture, it rained. I was thoroughly miserable the whole day, my feet were still wet from the day before and they stayed wet. 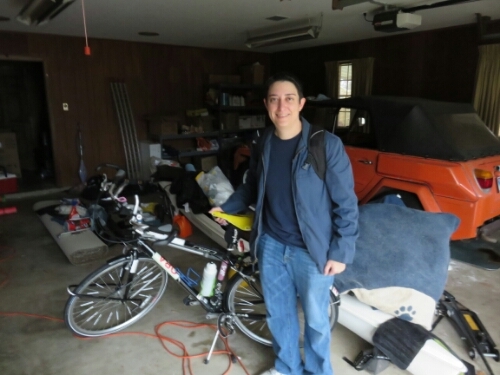 The only good thing was that the rain was persistent, not heavy, so I could keep riding. I ate my lunch of peanut butter sandwiches under a carport in a quiet town and felt sorry for myself. As the day drew to a close I reached the town of Kountze and decided to see if I could find a motel. My desire to camp was at around zero. At the local supermarket they directed me to one motel out of town that was nice and then said there was another closer but that it was a roach motel. I decided to check the roach motel, obviously. Surprisingly it was actually very nice and of the five motels I’ve stayed in, the cleanest and with the best WiFi. This meant I was able to dry myself and my things somewhat. It’s lucky I did stay there as my right hand had gone numb from riding and the cold and I couldn’t use it properly for a couple of hours so I probably wouldn’t have been able to set my tent up. The next morning the rain had stopped and I felt about a million times more cheerful. 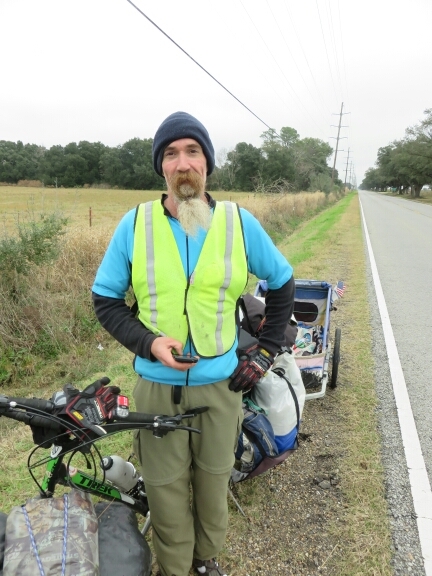 I rode out of Kountze, almost jauntily, even though the weather wasn’t really good, it just wasn’t bad. 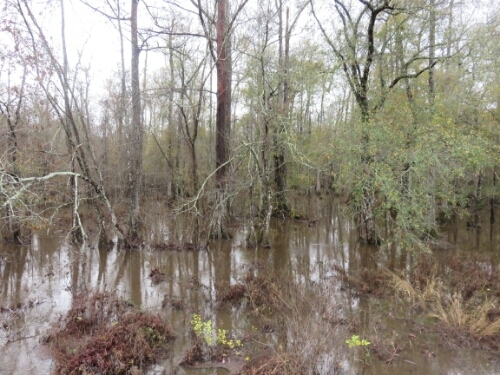 As I went I could feel myself approaching Louisiana as the landscape of east Texas turned to Bayou. 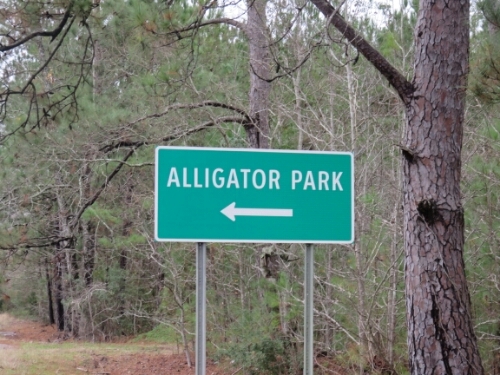 Well what I assume was Bayou anyway. 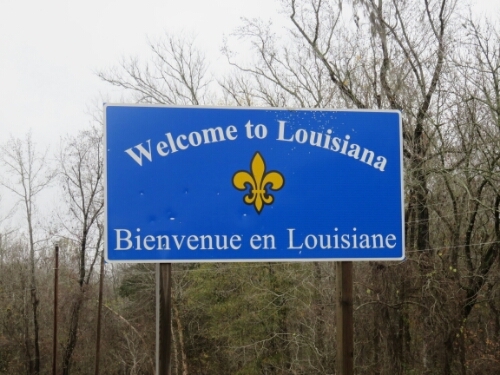 Then I hit actual Louisiana and I could tell immediately I was in a new state. This was because of the large sign telling me so. It also got more swampy and there was the threat of alligators. I was also clearly in a new state because the roads became awful. There was seldom a shoulder and when there was it was badly maintained. 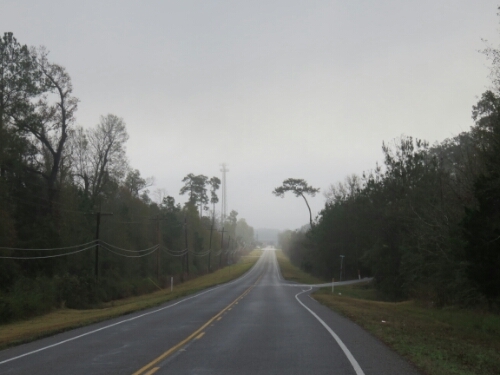 The road was also very flat and pretty boring and I just started reading and headed for my destination of Lake Charles. Getting there wasn’t as easy as I’d expected as there were only two bridges over the lake to the city and they were both interstate bridges, you aren’t supposed to ride on the interstate in Louisiana. Technically I should have taken a roughly twenty mile detour around the lake, instead I put my head down and rode over the bridge. There wasn’t really a shoulder so the vehicles were going past pretty close. Surprisingly no one hit their horn and adrenaline got me up and over. I probably should have gone round on balance. Once across the bridge I made for my Warmshowers host that evening: Jennifer. Jennifer worked in the coastguard and helped me plan my onward route. She also gave me my first taste of Cajun cooking in the form of boudin, which is very similar to French boudin blanc. 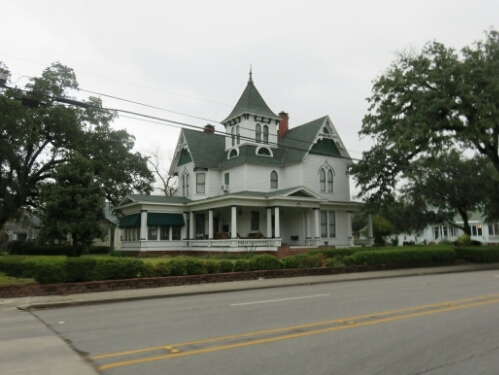 Lake Charles was a nice town and I really enjoyed riding around seeing people’s houses which had so much character on the way out of the city. 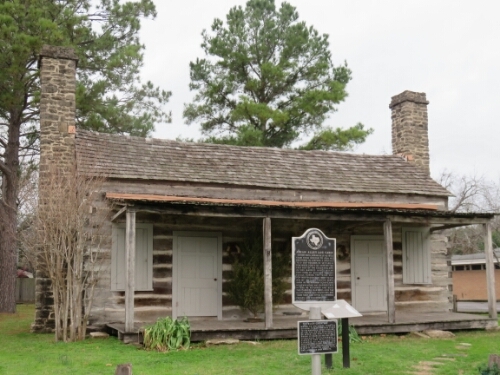 My destination now was Lafayette the centre of Cajun culture where I was planning on spending new year’s eve. I was expecting a nice easy day. The wind had another idea and I had to force myself along the road against a freezing headwind, luckily it was still flat. A highlight was meeting this guy who was riding across the states with his dog. Apparently having your own dog keeps the other ones from chasing you! 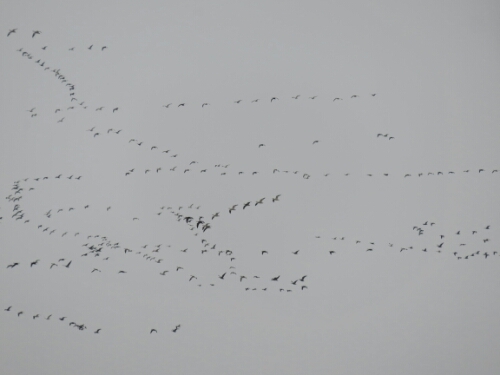 I also saw hundreds of geese migrating. I hadn’t realised they went in such big groups. Eventually I reached Lafayette and made it to my Warmshowers host for the night.